The line up at the gondola strung through the village long before daylight for opening day at [R493R, Whistler Blackcomb] last Friday. 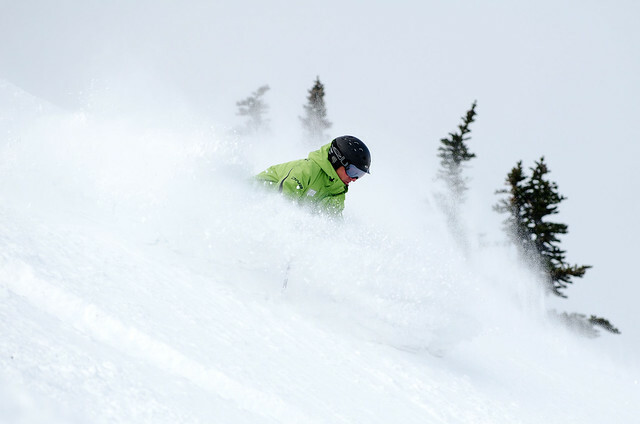 It wasn’t just the first day of the ski season, but a powder day. By daylight, the gondola line strung far back into Whistler Village. Photo by Emily Serrell/Coastphoto.com. Photo Courtesy of Whistler Blackcomb. Machine-made snow supplemented the natural snowfall. By Whistler Mountain’s opening day, the Whistler Blackcomb snowmaking team converted more than 50 million gallons of water into snow. That’s roughly like spraying a one-foot layer of snow on 250 football fields. Heavy snow is forecasted to fall on Whistler Blackcomb Tuesday, Nov. 22, followed by steady snow on Wednesday. Accumulation of new snow could run 40-75 centimeters by Thursday morning. That could make Blackcomb Mountain’s opening day another powder day. Blackcomb Mountain will open on Nov. 24 as well as the PEAK 2 PEAK gondola. Opening day at Whistler Mountain brought powder. Photo by Coastphoto.com. Courtesy of Whistler Blackcomb. Pro freeskier Mike Douglas spent six nights in a patrol shack at the top of Whistler Mountain to chronicle the beginning of the season. His Day Five video shows the spirit of opening day. 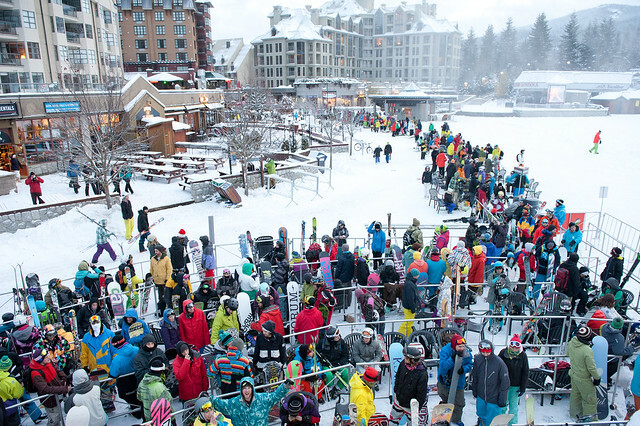 The line at the gondola might have been long, but by all reckoning, the turns and the powder were worth it. Catch Mike Douglas' series of videos on Whistler's opening week here. Check what lifts are operating for Blackcomb Mountain’s opening here.